Reggio Emilia is a little town in the center of Italy. Little, but for many reasons very important. For at the end of 1700, here was born the Italian national flag, the “tricolore” – green , white, red. At that time the city was property of Este family. Almost all members of this family where fond of chess, especially Isabella, duchess of Mantova, who is said to have hosted in her court many important chess players of the time, in particular from Spain. Leonardo da Vinci was also her guest. We can say that the chess tradition in Reggio Emilia is older than 5 centuries! From December 28th 2010 to January 6th 2011 the 53rd edition of the international chess tournament “Torneo di Capodanno” will be played in Reggio Emilia. Free day is on January 1st and opening ceremony takes place on December 28th, morning. Games starting daily from 14:30. The tournament will be played at hotel Astoria Mercure. Scacchierando Blog has printed 300 postcards as gift for the visitors of the 53rd Reggio Emilia’s Tournament. Chess fans can find the games and results on www.ippogrifoscacchi.it (for the complete list of winners and final tables of all 52 earlier editions click on “albo d’oro”). The “Torneo di Capodanno” was born in 1958 owing to the enthusiasm of Enrico Paoli (1908-2005), GM honoris causa. The name was chosen due to the fact that it started immediately after Xmas to end in the day of Epifania (Helige Drei Konige is January 6th). It started thanks to the sponsorship of the local Tourist Office and of the firm “Motori Slanzi Novellara”. Winner of the first tournament was Otto Marthaler (Suisse-Switzerland). Among the winners of the following editions are Grandmasters Gyozo Forintos, Mario Bertok, Bruno Parma (2 times), Milan Matulovic, Andrew Soltis, Ludek Pachman and (only) two Italians, Alberto Giustolisi and Sergio Mariotti. The 19th tournament in 1976/77 had the first guest from USSR, GM Gennadi Kuzmin, who also won the event. For the 25th edition in 1982/83, the tournament found a new sponsor – the bank “Banco di San Geminiano e San Prospero”. In that year the winner was the women world champion Nona Gaprindashvili (USSR, Georgia). 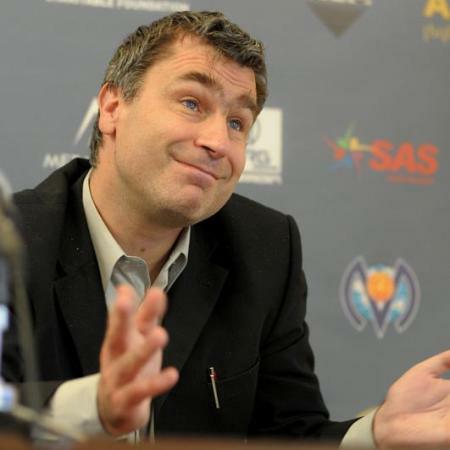 Among the winners in the following years we find Lajos Portisch, Ulf Andersson, Zoltan Ribli, Vladimir Tukmakov, Mikhail Gurevich, Jaan Ehlvest and Anatolij Karpov (1990/91). But the peak was the 34th tournament (December 27 1991 – January 6 1992), when among the players in the main group we had the world champion Garry Kasparov and his predecessor Anatoly Karpov. 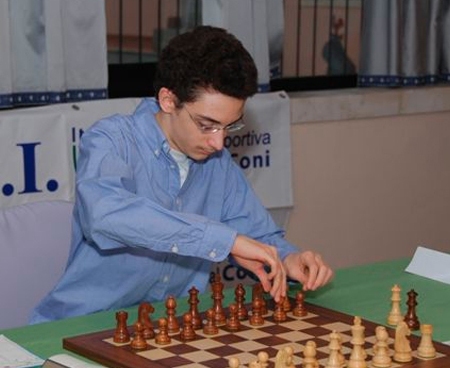 It was the strongest tournament ever played in Reggio Emilia and the first in the history to reach category XVIII ! Please note that at the time the category 18 was considered to be an “abstract” goal, because it seemed almost impossible to have together all the best players of the planet. This was achieved thanks to the great love for chess of Nicola Palladino – at that time President of the Italian Chess Federation – and obviously of Enrico Paoli, very well known and respected by all the top players, including Kasparov himself. There was also a B group, with the most eminent Italian players, and a tournament for blind players, an unofficial “braille chess” world championship. And, last but not least, there was a meeting of all the living world champions. Mikhail Botvinnik, Vassily Smyslov, Mikhail Tal and Boris Spassky joined Garry Kasparov and Anatoly Karpov. Bobby Fischer was the only absent. The final standing of that magnificent tournament was a surprise: the winner was an “outsider”, a 22-years old Indian – his name was Viswanathan Anand! We can say that Anand’s wonderful career started from Reggio Emilia! The young Indian was so happy with this victory, that as soon as he was certain to have won, he asked the director of Hotel Astoria to send a fax (at that time there was no Internet or mobile phones!) to his family and a couple of friends and journalists, in which he wrote “I won! I won! I won!”, signing simply “Anand”. Kasparov was second with the same points as Boris Gelfand. Unfortunately, the following year the CEO of the bank changed and the tournament went back to “standard”, falling in strength when the “Banco di S. Geminiano” was sold to another group. But the event went on, we have to note that Rafael Vaganian won twice, in 1992/93 and 1994/95, and now thanks to the local supporters the tournament once again reached the respectable 18th category.